The chancellor has announced £25bn for the second Road Investment Strategy, although a large chunk of this may now be needed to pay for two Highways England projects costing over £8bn after Philip Hammond banned new private finance initiative (PFI) schemes. In the Budget, Mr Hammond confirmed that the Government will deliver its commitment to hypothecate English Vehicle Excise Duty to roads spending through the National Roads Fund, which will be worth £28.8bn from 2020 to 2025. 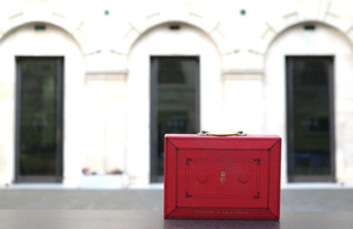 The Treasury said the Govermment expects to spend £25.3 billion on the second Road Investment Strategy 2020-25 (RIS2), funded by the National Roads Fund. The remainder of the cash (£3.5bn) will pay for the new major roads network and large local major roads schemes. However, Mr Hammond also announced that he will abolish the use of PFI and PF2 for future schemes, although the Government will honour existing contracts. The Treasury said RIS2 would ‘enable the Government to…progress transformative projects like the A66 Trans-Pennine, the Oxford Cambridge Expressway, and the Lower Thames Crossing’. In April, the Treasury confirmed that it expected both the Lower Thames Crossing, now slated to cost up to £6.8bn, and the £1.6bn A303 Stonehenge tunnel to be financed through PF2. In August, the Department for Transport (DfT) told Transport Network that the private financing of the Stonehenge scheme would allow it to invest the capital that is no longer needed on other important strategic road schemes. Highways England and the DfT referred enquiries to the Treasury. A Treasury spokesman told Transport Network that the Government remains committed to the schemes ‘subject to business case’ and that the financing of the schemes was not a determining factor in the decision to proceed with them. He could not however confirm whether the schemes would be funded out of the £25bn for RIS2, but said that announcements on the detail of the strategy would be made ‘in due course’.